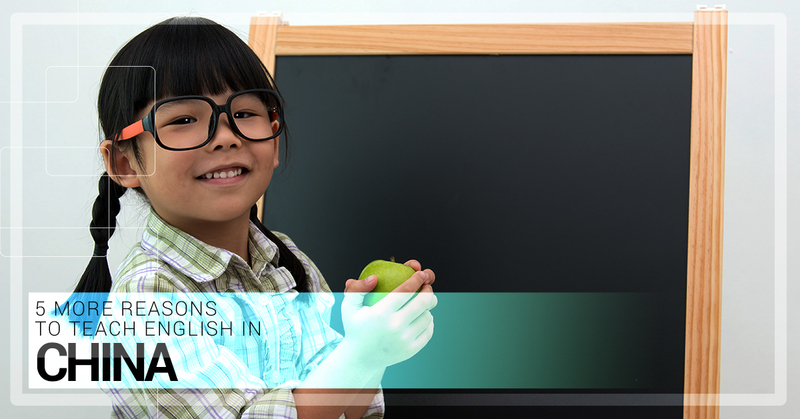 Are you on the fence about whether you should teach English in China or not? If our previous article on why you should teach in China wasn’t enough to convince you, here are 5 more great reasons why it might be the best job ever. Anytime you work in a new country, you will meet new people who are different from you. Not only will this help you develop a more well-rounded worldview, it will also expand your network. Networking is one of the keys to success no matter what you do in life. During your time teaching English in China, you will also be expanding your circle of friends and contacts which will prove valuable on many levels later on in life. There are a lot of misconceptions about China in the West just like there are misconceptions of the West in the East. To truly understand Chinese people, you need to live with them, know their history and understand the struggles they experience every day. As you teach English in China, you will start to better understand the education system in China and how that shapes how Chinese people think. China can be a difficult place to live primarily because of the language. However, once you get comfortable living in China, you’ll have the confidence to live anywhere! Think of this opportunity to teach English in China as a way to prove to yourself that you can handle any challenge. After you arrive in China, don’t forget to read this post on how to have the best experience in China. Everyone picks up at least a few words of Chinese after living in China. Even if you are not actively studying Chinese, you will unconsciously become more attuned to the language. Plus, you’ll be able to learn all about Chinese culture. You’ll know when Chinese holidays are and what gifts to bring to someone’s house. You’ll learn about important people in China’s past and present who have helped to shape the country. China has a lot of interesting cultural insights you’ll pick up as you teach English in China. If you are from a smaller country, you may be the first and last person from your country that your Chinese students will ever meet, which means you are an unofficial cultural ambassador for your country. How cool is that! Just think how you will shape each student’s perception of or interest in your country. All teachers impact their students to some degree, but as a teacher from somewhere your kids are not familiar with, you have a tremendous opportunity to contribute to their understanding of different parts of the world. Get off the fence and come on over to China! If you’re ready to be a cultural ambassador and inspiration to Chinese kids all over China, schedule a Skype chat with one of our Top Notch ESL staff and start your journey east.